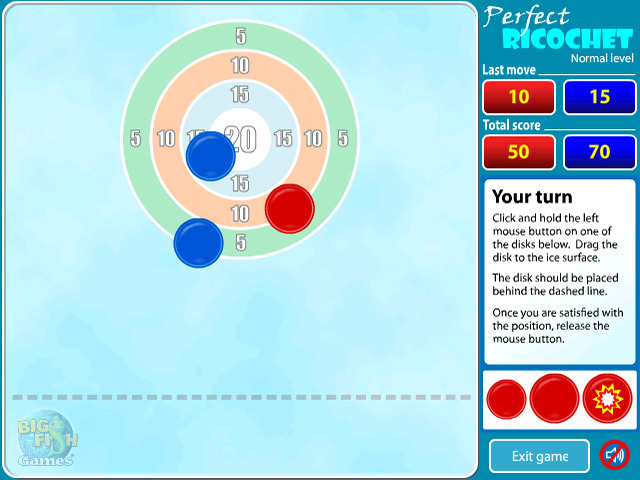 Create The Perfect Ricochet in this online game of curling. Drag a disc behind the dotted line. 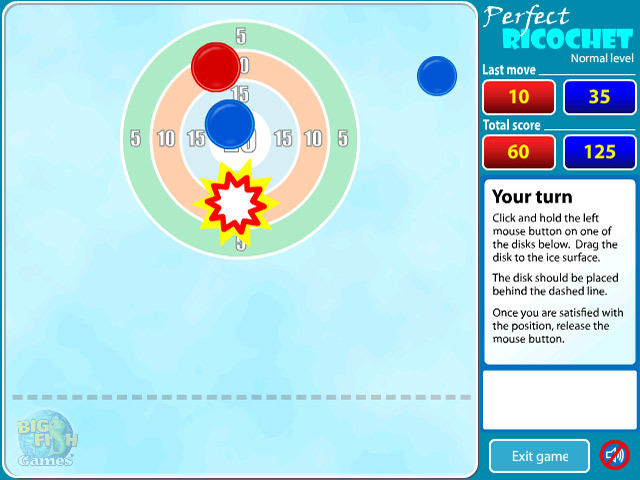 Click and hold to launch it.Curling, without the ice and brooms.In this slippery online curling match, you must create The Perfect Ricochet and reach the target score before the computer. To start, drag a disc behind the dotted line. Then, click and hold on the disc to set direction and speed. Release the mouse button to launch the disc. 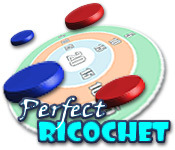 With challenging physics and 3 difficulty levels, The Perfect Ricochet brings you endless curling fun, without the sweeping and cold ice.